The past couple of days have been overall decent here in Ottawa, the sun is finally starting to come out more and it's warming up! I have long since put away the winter clothes however, I had been hoping Spring would come sooner than it did. I'm not complaining, I just love the sunny weather. With the sunnier, warmer weather coming it's time to think about taking care of our kids skin. Summer vacation begins next month for us in June which means before we know it we will be having local pool visits and fun in the sun for summer time! We are out a lot in the summer so it's good to have a quality sunscreen lotion on hand while out. 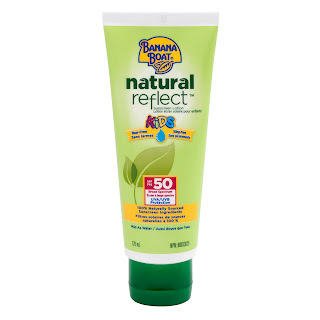 Banana Boat® introduces Natural Reflect™ Kids sunscreen lotion SPF 50! New in Canada this year, Banana Boat® provides clinically proven protection moms love but delicate for the most sensitive - and sometimes finicky skin. The Natural Reflect Kids sunscreen lotion provides broad specrum UVA and UVB protection, is Paraben, PABA and Oxybenzone-free so parents feel comfortable applying it to their kids. The pediatrician tested unscreen, made from 100% naturally sourced sunscreen ingredients, is also water resistant which prevents tears and stings if kids sweat or swim and it gets in their eyes! Banana Boat® Natural Reflect™ Kids sunscreen lotion can be found in grocery, drug and mass retail outlets for around $11.99. This giveaway is OVER! Thank you everyone for your participation and amazing positive feedback! Congrats to the winners! 10 lucky CANADIAN AME readers won the chance to try Banana Boat® Natural Reflect™ Kids sunscreen lotion and submit their reviews to me for a chance to win a $50 VISA gift card! How cool is that! Disclosure: Sponsored by Banana Boat® Natural Reflect™ Kids sunscreen lotion. Opinions and comments on this blog are those of the author. I would love to review this product because my whole family burns so easily. i'd love to test - my kiddo is just approaching sunscreen age and i love the idea of a more natural option! I would love to test it on my 4 year old. He has light skin and always needs a good sunscreen. I would love to review this product -- I love Banana Boat products, and I love that this one is natural! I like that is is made from naturally sourced ingredients. I am always trying to find products for sensitive skin so I would love to have the chance to try and review this product. I'd love to test it because I still haven't found a sunscreen that I like for my daughter! I am super glad that summer is finally here and with two young kids itching to get outside I am sure to go through a lot of sunscreen. The sensitive skin and non-stinging factors are big plusses for me! We have a large backyard with a pool in it. We also have four young grandchildren who come to swim several times each week. Needless to say, we go through a ton of sunscreen each year, so testing a new brand would definitely get the munchkin test here. I've used adult Banana Boat products before, but never the kids one. I'd bet the quality is just as good. I'd like to review this because my youngest son has sensitive skin and I like the fact that it is natural, which I think would be great for any kid to use. I'd love to review because my son has extremely fair skin and bright red hair, so sun protection is extremely important to us. I'd like to review this sunscreen to see how it works for my family. My 3 year old is very particular about how sunscreen feels on her skin, so I'd like to see if she will wear this without a fight. Thanks! I got 4 little bananas who would be prefect for this opportunity! I'd like to try this sunscreen on my boy and on myself. I like the fact that it is PABA free and Paraben free. I much prefer a more natural sunscreen and want to see how this product works. I would like to try this out because I'm trying to use more natural products in my household. i would love to test this sunscreen as my kids and i have really sensitive skin and its hard to find a natural sunscreen that works! We love outdoor and sunscreen is a must. We would like to try this out. I'd like to test and review this product because I have kids and I want to see if it is the right choice for this summer to use! I have four children so we go through a boatload of sunscreen as soon as the weather warms up. I am always looking to try different ones looking for the best protection! would love this for my son. i love the fact that it has naturally sourced sunscreen ingredients! I would love to try this on my boys. We would lather in on for our weekend trips to the beach, playground etc... Then I would ask my older one (he's 6) if he likes the smell, the feel etc... A kid's perspective. I'd like to try it because it sounds like a great product. I love trying out different sunscreens! I would like to review this product. I would like to find a good quality sunscreen for my son. I would like to test it because I love trying out new things. I want to test this because I love Banana Boat and haven't tried this one yet! I want to test and review this product because I love natural products and I love to try before I buy. 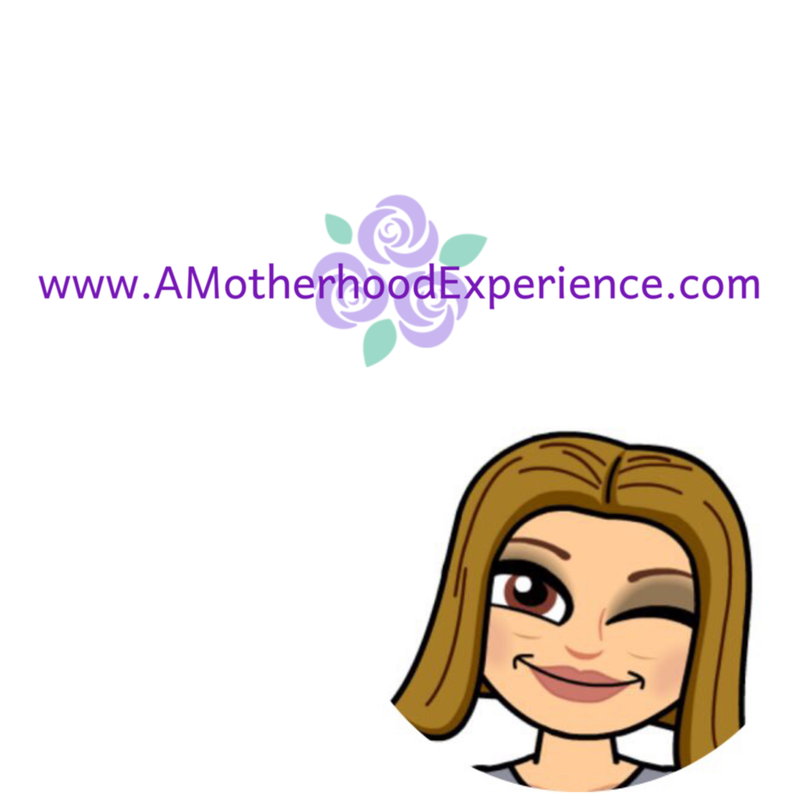 I love sharing my experiences with others! I'd like to test this product because I really like Banana Boat products for myself (they smell so good and I absolutely LOVE their spray-on sunscreen!). I'm very interested in trying the children's sunscreen on my son to see what it's like.